Asia Beer Cup Silver Medal Winner, OKINAWA SANGO BEER! > 类别 > 美食 > Asia Beer Cup Silver Medal Winner, OKINAWA SANGO BEER! 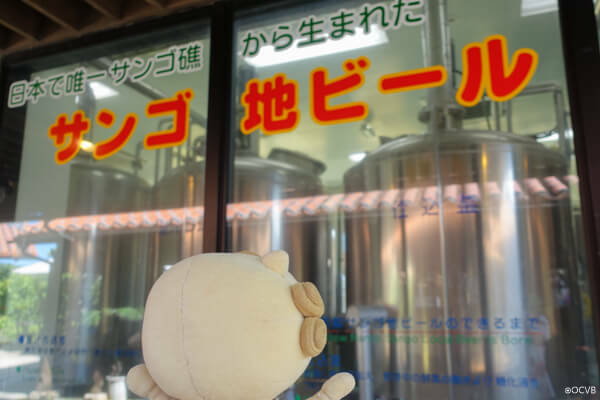 This time I visited Nanto Brewery in Nanjo City, Okinawa, which took home the Silver Medal in the Asia Beer Cup 2017. 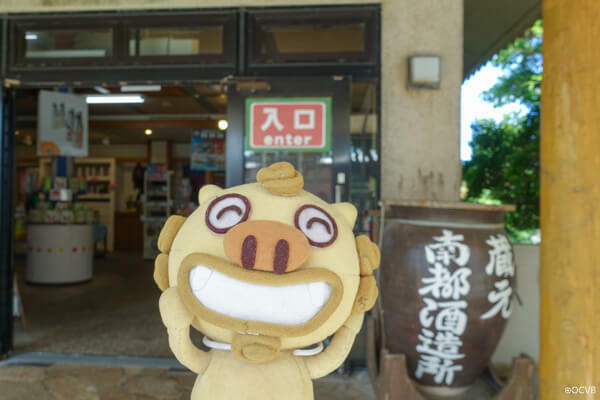 Nanto Brewery is located within the grounds of the tourist attraction, Okinawa World. What is the Asia Beer Cup? 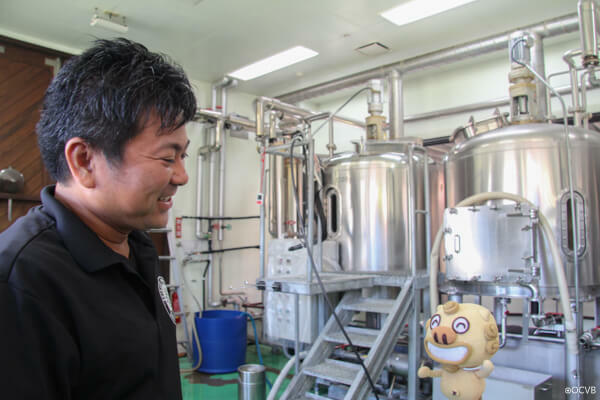 Hosted by the Japan Craft Beer Association, beer from around Japan, Asia, and the Pacific is judged and it is considered to be Asia’s most prestigious award for beer. 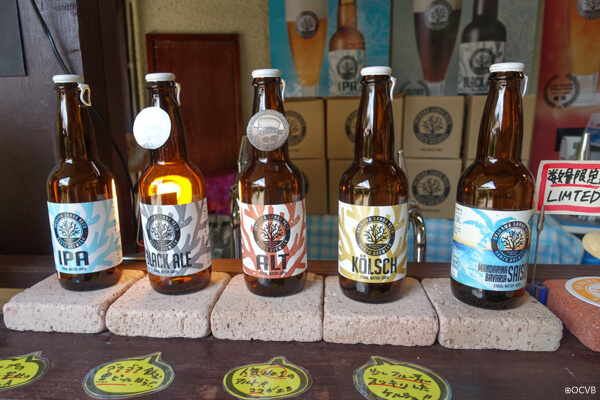 During the 2017 exhibition, 93 breweries from 10 different countries around the Asia-Pacific region presented 372 craft beers, the largest number yet, and amongst them OKINAWA SANGO BEER’S “ALT” did exceptionally well to win the Silver Medal in the German Ale division! 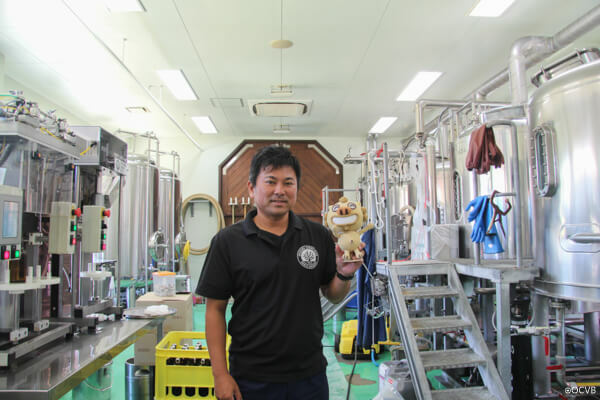 I wondered why they had decided to make beer at Okinawa World, and Yukinori Itokazu, who works at the brewery, gave me many answers. 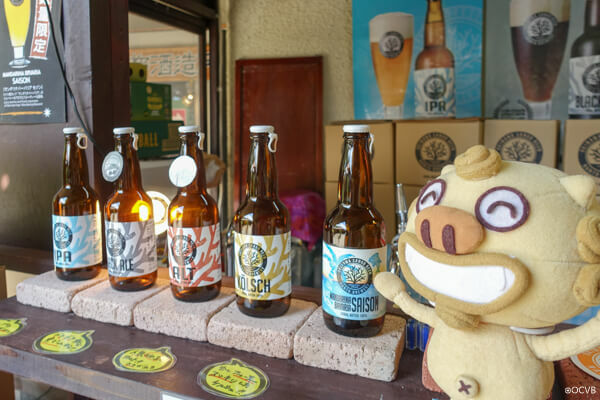 The name ‘Nihede beer’ came from the Okinawan language, with ‘nifedebiru’ meaning ‘thank you.’ Although this gave it more of an affinity with Okinawa, it’s name was changed to OKINAWA SANGO BEER so that more people could enjoy it! 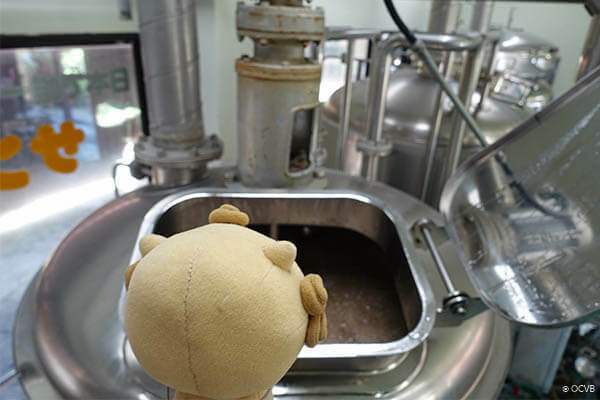 This time they gave me a special tour of the entire beer making process! 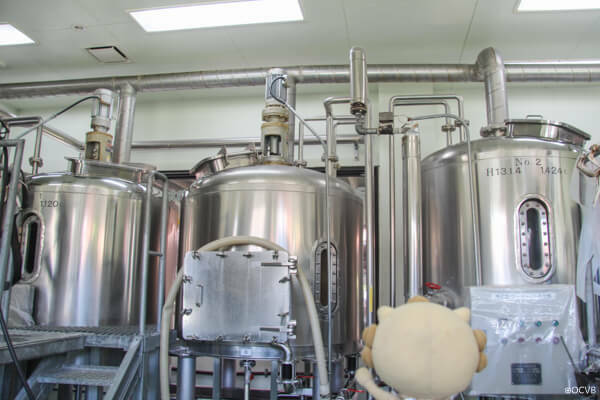 I was surprised by how unexpectedly small the space is where the beer is made. 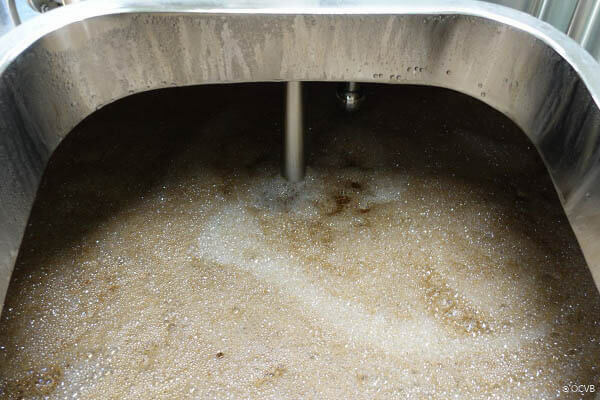 This is the inside of the wort filtration tank where wort and malt are separated. 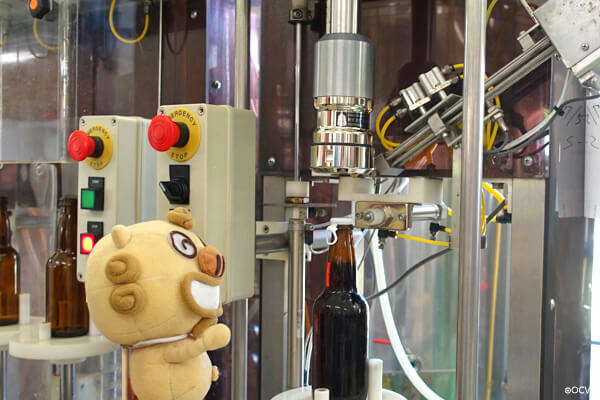 Around 800 liters of one type of beer can be made in one go, which makes 2400 bottles. Mr. Itokazu also talked about his future plans with me! 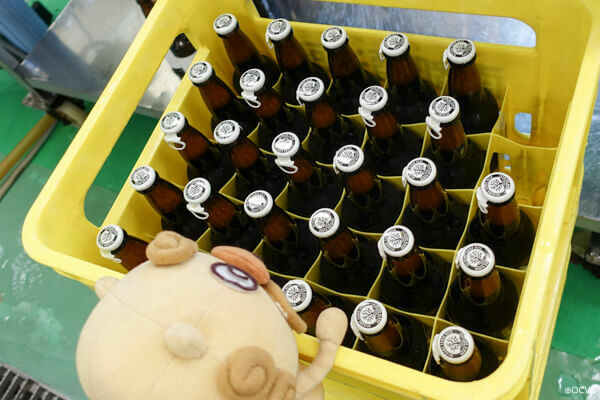 “From here on, I would like to have a go at things I cannot do with a beer licence alone, so I will apply for a happoshu licence (low-malt beer) and have a go at creating products with more flavors.” I would also love to try new flavors of beer, so I give Mr. Itokazu my full support! Thank you, Sir!